Bill Cheall fought at Dunkirk, North Africa and Sicily, was in the first wave on Gold Beach on D-Day, and finally went to Germany. 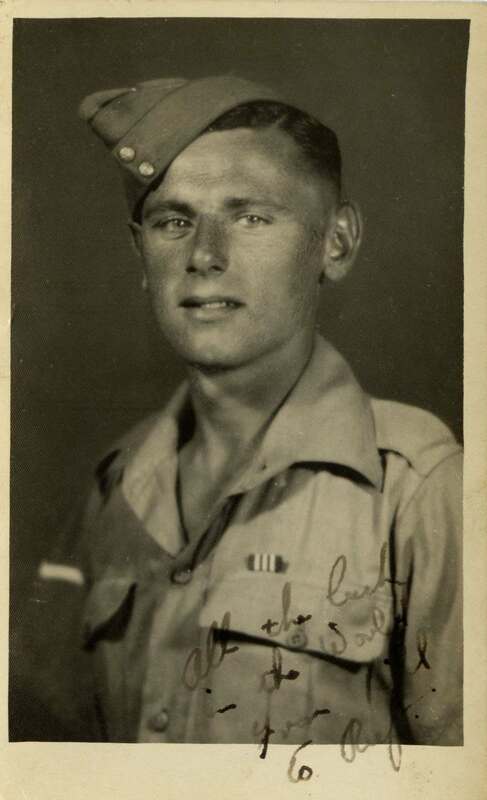 Since Bill's WW2 memoirs were published, many former comrades and families have come forward with stories and diaries of their own, all forming part of the jigsaw of Bill's war. The aim of these podcasts is to bring the memories to life and honour the soldiers, airmen and seamen who were connected to Bill in some way. Subscribe to be notified by occasional emails when there is news or a new podcast episode being released. Promise you will not be spammed! Poignant tale of 5 brave WWII comrades. 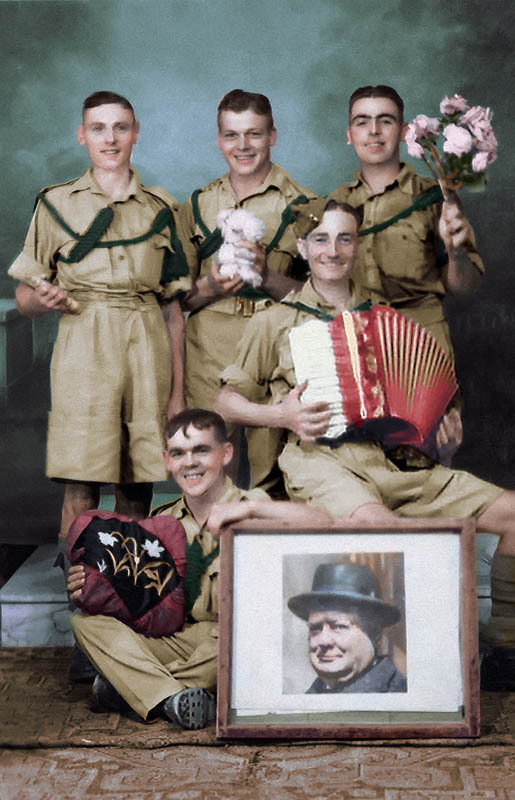 The story goes back to the start of the war, how these lads met, what special connection brought them together, and what tragedy was to befall some of them. Lance Sergeant William Allan 'Rufty' Hill and Bill Vickers are both honoured in this tragic but poignant tale. A WW2 history podcast on Bill Cheall's war diary and memoirs. 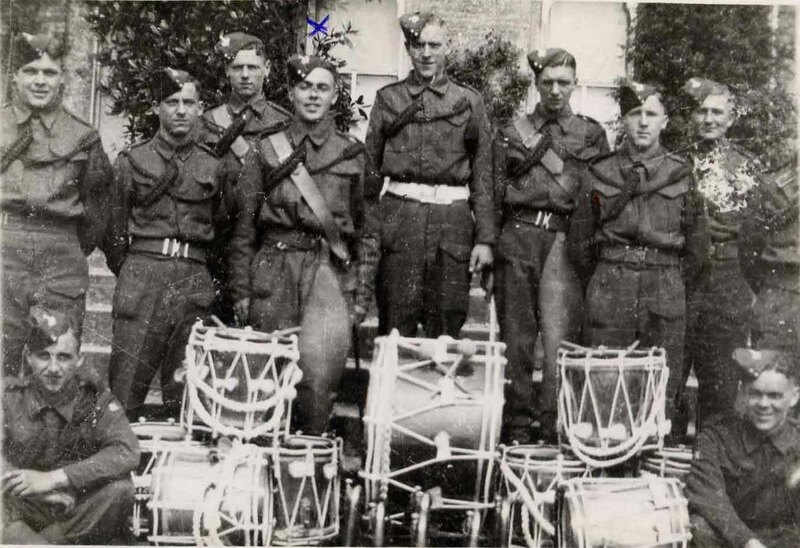 Below: Bill Vickers back left and Sgt Allan (Rufty) Hill back right. Below: An early photo of the band, Rufty marked and Bill third from right - note the leather drum aprons - so Bill was a drummer aswell, not a trumpet player as I suggest in the show! Below: Bill Vickers - "All the best in the world from Bill to Rufty"
Copyright Paul Cheall. Simple theme. Theme images by luoman. Powered by Blogger.